Ya can't go wrong wif an old fave! It's always fun when Chewy offers you something you already love! Mudpie, glad you like your Pro Plan! Mupdie, Eddy is a kibble addict, too. The thing with her, though, is that she doesn't get bored with her dry food in the least. She prefers to stick to her one and only favorite Royal Canin food. I often hesitate to even try new dry food, as Eddy typically rejects anything but her favorite. Perhaps she'd like this good stuff here, though! Purrs! P.S. This here human apologizes for the above typo of your name, Mudpie. Silly human. Kibble is used as a treat for any inside cat, Mudpie...because Angel and Chuck once got very fat eating it, when we didn't know any better! After that, we switched to wet food only, and that's the way it's been for years and years. Thanks for the review! This kibble sounds yummy! We're glad you got to choose one of your favorites! Mudpie, it's neat that you get different food for breakfast, lunch, dinner, and bedtime snack! Paisley & Webs like the Pro Plan wet food, but they've never tried the dry. Glad you got something that you already love! That's always the best! Oops. I guess I didn't read the description. 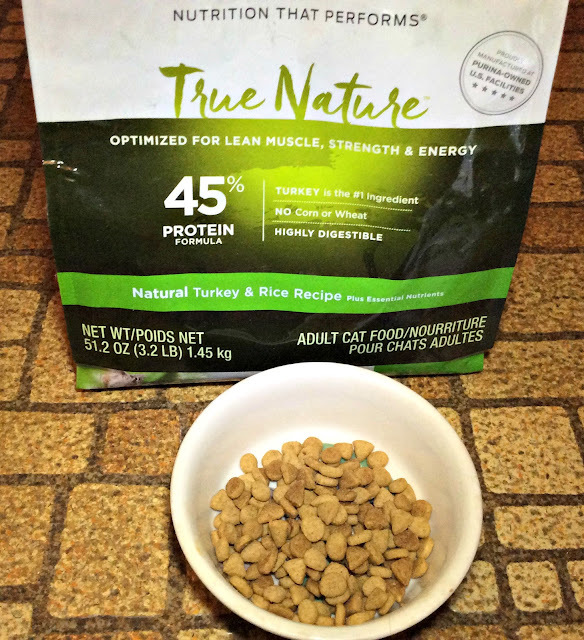 I'm always looking for high protein kibble - and I love that many of Purina's lines (Pro Plan, ONE, etc) have the protein as the first ingredient. BAD MOMMA! I overlooked this one and got the wet food instead! That looks good, I bet my cats would like it too. 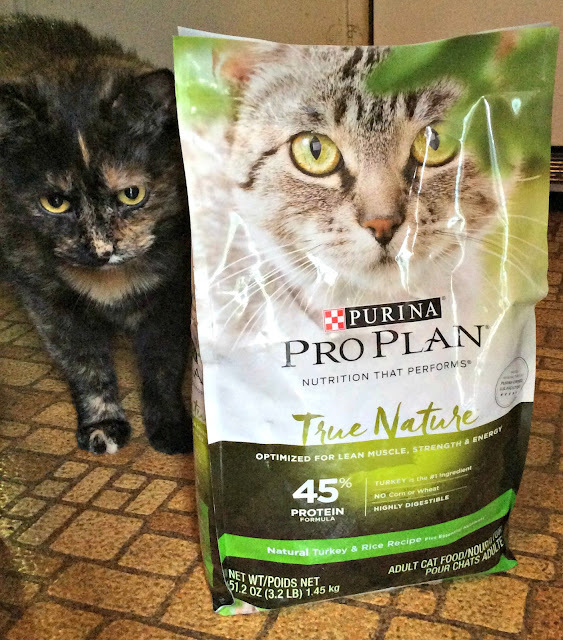 We tend to prefer wet food, but we have had Pro Plan kibble before and liked it.